Founded in 1981 Pacific Pools is a second generation family run business, with over 1000 pools in East London. Pacific Pools was founded by Mike Godfrey in 1981, who matriculated at Selborne College and studied building construction for three years at P.E Technicon. He then went on to work for two major building construction companies for 11 years before venturing out on his own. In 1981 he decided to “jump in the deep end” and began what is now a long-standing family run business with a great reputation for quality, passion and most of all experience. We assist you with designing and building your new pool, or renovating and altering your existing pool. We also cover all pool repairs, from structural to filtration. We are proud members of the NSPI since 1989 (National Spa and Pool Institute of South Africa), which insures high standards of materials used and service given. 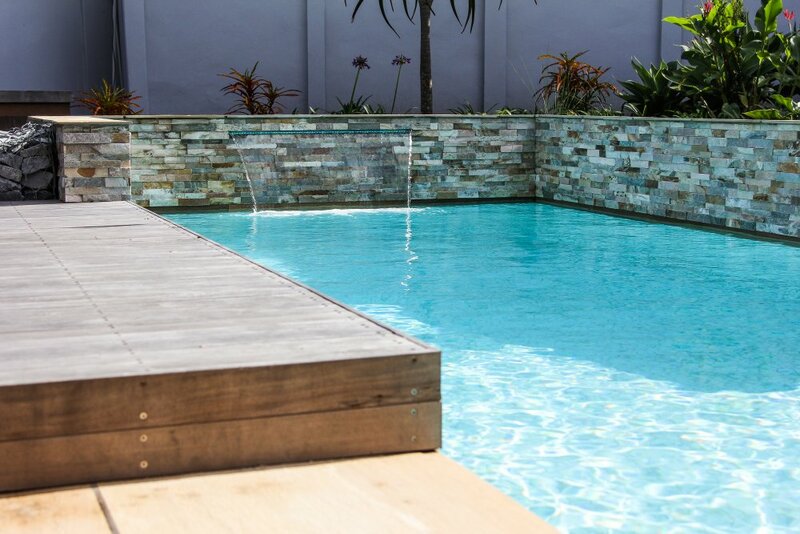 Our years in the industry are testament to the fact that we have the experience needed to customise your pool to suit your lifestyle and family’s needs. We will ensure all aspects of this process are addressed and that you receive all the benefits of a well-designed pool, such as: aesthetic flow from your home and garden, carrying the look and feel through to the pool; increased property value; peace-of-mind going forward knowing every aspect has been well thought through and executed. We have a core staff complement who we have trained and are skilled in their fields within the pool construction process. Many of them have been with us for over 30 years. Our sites are personally supervised. The company has been transitioning over the past 5 years to the point where it is now being skillfully run by Mike’s son, Steve Godfrey. Steve has kept the business going strong and the family proud. We are proud members of the NSPI (National Spa and Pool Institute of South Africa), which means we hold to high standards of materials used and service given. For 44 years the NSPI has dedicated its efforts to bringing together industry professionals in an atmosphere designed to create new business alliances, expand educational horizons and enhance network opportunities. A swimming pool can have a big impact on the value of your property, it is an investment. 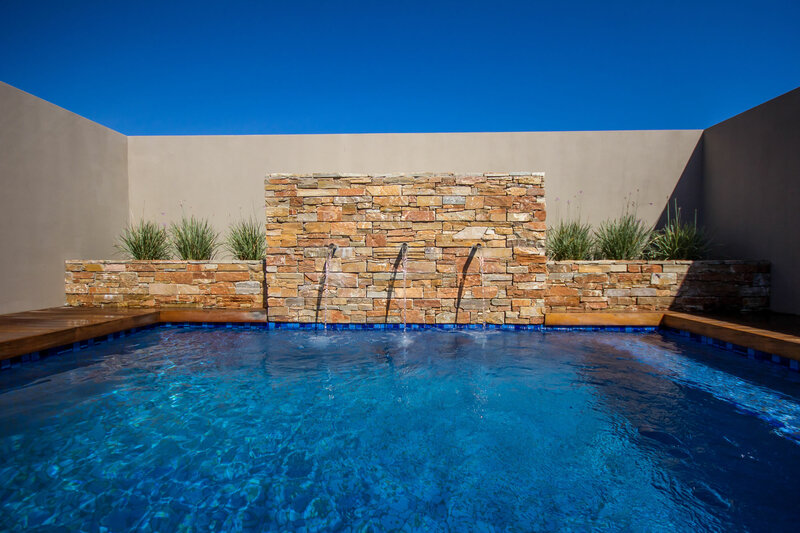 Ever mindful of this, we work closely with our clients to ensure their needs are well-understood and interpreted – with awareness of how the pools we build contribute to personal lifestyle preference and aesthetics of your home or public space. All our pools are built using NSPI approved machine-guniting. There is no substitute for a well gunited pool. All our pools are constructed using skilled staff, and as a result we are able to manage consistency, quality workmanship and attention to detail on every project. Each pool’s plans are submitted on the client’s behalf by a registered architect. Tired of the outdated style or finishes of your Swimming Pool? Our team work to take your existing pool and turn it into your dream pool. We will assess your needs and work with you to transform your pool. We can do anything within the existing structure of your pool. We redo pool surrounds, mosaic line and chip tiling. We are also highly experienced with pool structural alterations, such as changing the shape, reducing or increasing the size of the pool or simply adding extra steps. Our aim is to deliver a customized solution to meet your unique requirements. Pacific Pools has been doing high quality renovations and alterations for many years. Pacific Pools prides it’s self on doing quality repair work on pools. We repair or replace leaking pipes, weirs, aimflows, lights, pump and motors, filters, filter sand, Salt Chlorinators, Salt Chlorinator cells, Automatic pool cleaners. Anything to do with pools we can repair or replace. We supply and install swimming pool heating systems. We also build new brick filter houses which can be plastered or done with face brick. We also supply and deliver new concrete filter house lids. We are the only members of the NSPI in East London. 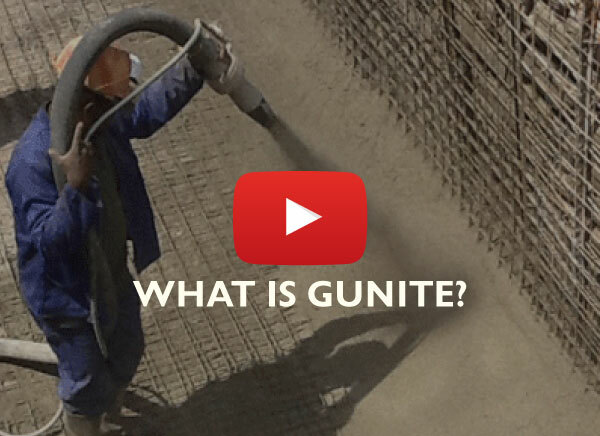 Gunite is a process involving a mixture of Portland cement and sand thoroughly mixed dry, passed through a cement gun and conveyed by air through a flexible tube, hydrated at a nozzle at the end of such flexible tube and deposited by air pressure in its place of final repose. When properly mixed and applied, Gunite is extremely strong, dense and highly resistant to weathering. Why gunite? I can honestly say the whole experience of having my pool installed by Pacific Pools was fantastic. I would recommend them to anybody. Steve and his team go out of their way to accommodate their customers. They are quick, efficient and did exactly as they said they would do. They also cleaned up after the job was complete. Today, I have a beautiful swimming pool, which my family love. I will always use Pacific Pools and would recommend them above anybody else. In 2015 we decided to give our slightly out dated, curvy shaped pool and pool area a facelift. We spoke to friends and asked around for recommendations for a reliable, punctual and thorough pool contractor. The Pacific Pool name came up, with only positive comments and I contacted Steve for a quote. We met on site and exchanged ideas and within a short time we had our quote. We gave the go ahead and watched the pool area transformed to a modern, practical and neat extension of the living are. Throughout the project Steve communicated with us, always letting us know and never impatient with questions or changes. The staff were always dressed neatly and did not wreck the rest of the property. On site portable toilets were made available. The whole team showed a proud work ethic. I would recommend Pacific Pools to anyone who wants the job done properly. Over the past five years we have done several building related jobs on various properties with various contractors and Pacific Pools definitely stands out. Great job Steve and his team!!!! We would like to commend Steve and his whole team from Pacific Pools in East London for their professionalism and reliability. They installed a new pool at our holiday house in Morgan Bay in 2016. We found the service very personal and Steve was most accommodating with the amount of time he spent with us choosing the right design and tiles. His advice on every little detail was spot-on and our pool looks magnificent, and it is one of the most aesthetically pleasing features of our house. We highly recommend Pacific Pools to anyone looking for a pool service company they can know, like and trust!